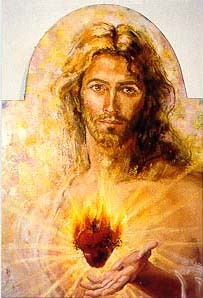 I just found this photo titled "Sacred Heart of Jesus" on Photobucket. I've never seen a sacred heart image like this before so I thought I would post it here since the greatest valentine we have ever received is Jesus' sacred heart. This past Friday morning our homeschool group had our monthly gathering called VIA (Virtues In Action) where we split up into age groups, a parent reads some books to the children and then we do a craft activity that is centered around the books theme. 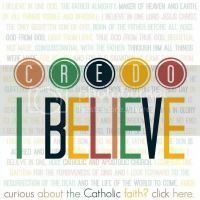 Each lesson is about how we can live out our faith more virtuously. I was the lead teacher for our Pre-K through 2nd grade group. I first read the book, Saint Valentine, which is a beautiful story of the love and sacrifices that Valentine, a holy priest and physician in Rome, made to share his love for God and heal his patients with herbal medicines and prayer. I spoke with the children that many people may not know that Valentine's Day is in honor of a real man named Valentine and the book I read tells a little about how he was persecuted, jailed, and eventually killed because he was a Christian. On the cover of this book and on all the illustrations there shows beautiful mosaic artwork. 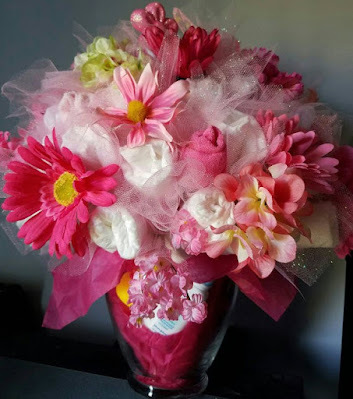 So I headed over to Lacy's blog at Catholic Icing for some inspiration and there were several Valentine craft ideas on her post HERE. One idea from Ten Kids and a Dog went along perfectly with the book . I hope to do this activity with all my children at home closer to Valentine's Day and I may use the candy hearts as suggested on Lacy's blog. I then read this beautiful book, The Most Beautiful Thing in the World published by Precious Life Books. 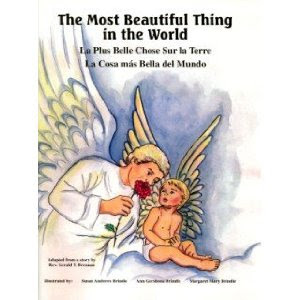 Here is a review from Amazon: The youngest angel in Heaven is sent on a quest to find the most beautiful thing on earth. A red rose? Birds and butterflies? Puppies and kittens? A beautiful baby? No, each time the other angels send him back to earth to keep looking. Finally the angel visits the church and finds a surprising answer. 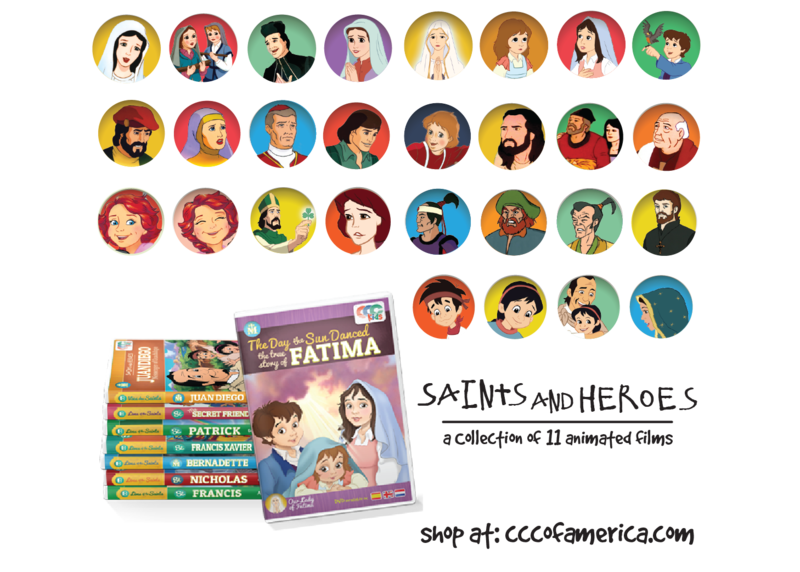 Illustrated with full-page colorful pictures, this simple story shows the importance of the true love of God. An endearing, delightful tale also suitable for small children. Text in both English and Spanish. 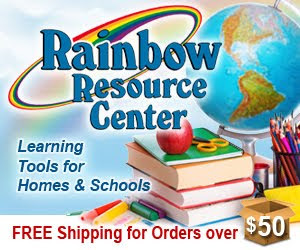 The children glued their heart onto a colored sheet of paper and decorated them with crayons and markers. These coffee filter crafts are going to be given to the assisted living residents that we visit each month. It was great to read such lovely books and do so many fun and easy crafts! 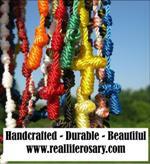 Thanks Catholic Icing and all those that linked up their Valentine crafts to Lacy's blog! It was fun to do these activities even if I had to change them up a little bit to match our group's abilities and interests. I didn't know that St. Valentine was killed because he was a Christian. I've known that the holiday was based around him, but didn't know the facts about him. You learn something new every day. Just stopping by to say hi. I voted for you on the Picket Fence! Thank you for sharing all the wonderful craft ideas Tracy. It looks like everyone was having a great time. I stopped by early to vote and say hi, but saw you had a new post so came over again. Hi Tracy I think it was great that you were able to change the crafts around to fit the group you were working with:) St Valentine is one of the saints I do know about:) and have read to my children:) Need to find the book and get it out this week to read it to them again. Great job voted for you:) Hope you had a great time with your visitors. Tracy, great book and great crafts! Love them! Thanks for sharing! Thanks for stopping by. Great craft ideas. We worked on Valentine's Day crafts on Friday. I'm sure there will be more to come! Hi Tracy, looks like your Valentine's theme was a hit! BTW- did I miss your email with your tips on posting buttons...etc? or should I say, did you receive mine? Great craft ideas! I loved doing crafts with my children, and when they weren't as interested in doing them anymore I enjoyed doing crafts when the kids at church! Stopping by to vote and say hi Tracy. Yes, they were able to send me a copy of Ann's book. I was so excited I could hardly contain my happiness. I have been reading Ann's posts to my mother, so she was rather thrilled we got it also. I have been reading it to her, and we cried through the first chapter together. We read the St Valentine book every year and we love it. I have never seen that craft before, we will have to give it a try! Great activities! I remember seeing a movie once about St. Valentine called The First Valentine. It tells the story of teen girl who goes back in time to meet the saint. It's available from Netflix and other sources. (You can read about it here http://www.amazon.com/First-Valentine-Jonathan-Farwell/dp/B00079VLBQ) They also have it at www.christiancinema.com. It's fun to learn new things about Saint's lives! Glad you enjoyed the post and thanks for your visit and comment! Thanks for the vote too! I just clicked a vote for you! Thanks for stopping by to leave your encouraging comments! Hope you are having a great week! 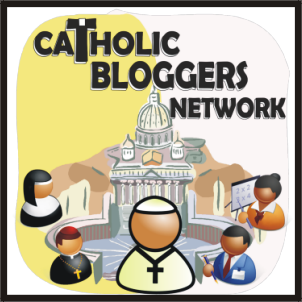 I'm thankful for Lacy's blog at Catholic Icing where I got my craft ideas from, but it's always fun to share ideas that I have adapted from other people's creativity! Thanks for your visit! It's a joy to share our faith to the world and share ideas with others at the same time! Thanks for your visit! It's always great to hear from you and I thank you for your support and encouragement :) Hope you are having a blessed week! Thanks for your visit and so glad you are having fun with your Valentine crafts! It was so nice to get my craft ideas from blog resources. It made me not have to think so hard :) Thank you for your visit and comment! It's fun to do crafts with kids, especially with children who love to do them! So glad you get to share your craft creativity with your children and others! The John 3:16 Valentines are great! Thanks for sharing this idea on your blog! Thanks for all your posts and sharing our faith in such a fun way! Thanks for stopping by and leaving a comment! We love the St. Valentine book also! It's beautifully illustrated and written and we learn so much! Hope you get to try out the craft! Thank you for your visit! Thank you Renee Ann for the movie suggestion. I remember seeing this cover before maybe in a video store, but I have never seen it. I will have to check it out. Thanks for the link about it too and for stopping by and posting your comment!